Multiple agencies are working to repair a water main break that has affected student housing near the Southeastern Baptist Theological Seminary in Wake Forest Saturday morning. WAKE FOREST, North Carolina (WTVD) -- Multiple agencies worked to repair a water main break that shut down Stadium Drive in Wake Forest on Sunday morning. 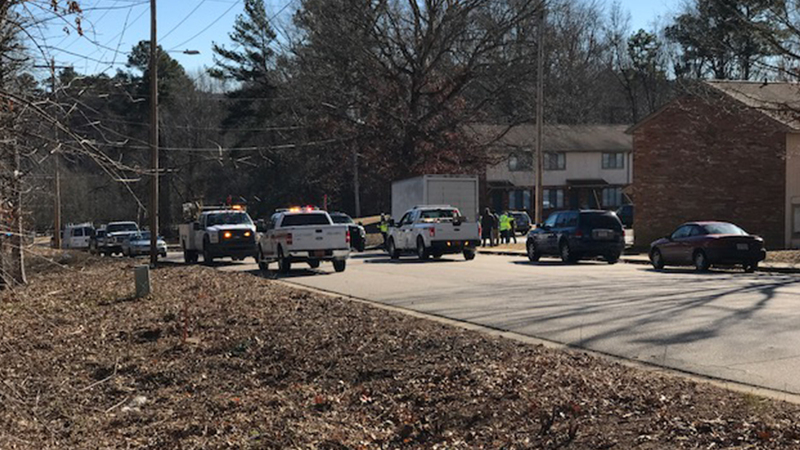 Crews responded to the area of Mcdowell Drive and Stadium Drive just before 10 a.m.
Officials said the water main break is affecting approximately 15 apartments in the vicinity of Southeastern Baptist Theological Seminary. SEBTS is in the process of evacuating those apartments and relocating the affected residents, according to officials. Officials said Stadium Drive reopened around 1 p.m.